The Department for Transport has teamed up with Kiss FM breakfast presenters Rickie Haywood Williams and Melvin Odoom for its Christmas anti-drink driving campaign. With the key message 'Mates don’t let mates drink drive', the latest activity from the THINK! road safety campaign aims to encourage young people to persuade their friends not to drink and drive. 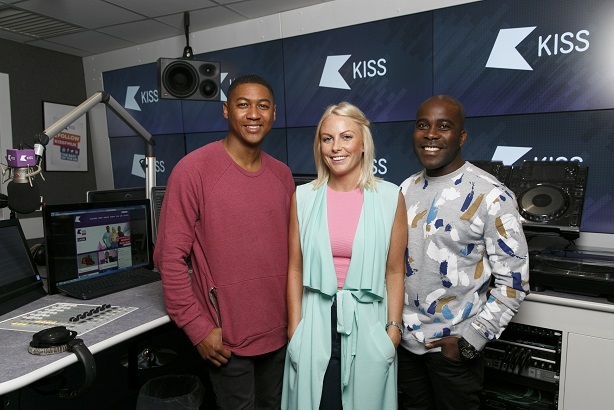 The partnership with Kiss FM duo Rickie and Melvin – who present the station’s weekday breakfast show with co-host Charlie Hedges – is part of THINK!’s plan to target young adults through social media and radio. As well as using their morning radio show to urge young adults to encourage their friends avoid getting behind the wheel after drinking, the presenters will front videos for Kiss FM’s social-media channels. THINK! is aiming for the social content to have a widespread impact: Kiss FM’s audience core audience is 15- to 34-year-olds, its @KissFMUK Twitter account has 632,000 followers, and its Instagram account has 151,000 followers. Meanwhile, Rickie and Melvin’s own social channels have an audience of more than 220,000. According to DfT, the Kiss FM audience is almost a third more likely than the average person to enjoy a night out in a pub. In England last year, more than half of car drivers who were involved in a crash and failed a breath test were aged up to 34. The campaign launched on 7 December. News of the partnership has been shared across social media, while a radio ad will run in England and Wales. THINK! has teamed with Kiss FM duo Rickie Haywood Williams and Melvin Odoom for its 2017 Christmas drink-drive campaign, which aims to get young people to encourage their friends not to drink and drive. LADbible will also be creating videos for its social-media channels. The collaboration with influencers who have a strong following among a younger audience echoes DfT’s recent Pink Kittens campaign, which targeted mobile phone use while driving, and was aimed at drivers aged 17-34. The campaign used a music video-style clip and collaboration with actor and social-media star Anto Sharp on a PR stunt. Melvin Odoom said: "Drink-driving awareness is something that needs to be out in front at all times. The campaign is designed to shine a light on the issue and we want to help as much as we can to stop people making the wrong decision." THINK! has also teamed up with partners including Arriva Buses, which is offering free bus journeys to home or work the morning after a night out, and Budweiser, which is launching an alcohol-free beer to coincide with the campaign, which runs until 1 January. Police forces across England and Wales are also carrying out enforcement activity as part of the traditional festive-season drink drive campaign coordinated by the National Police Chiefs' Council. Meanwhile, the Scottish Government is running an anti-drink drive campaign until 2 January, with the message that 'Best is none', to combat a rise in motorists caught over the limit last year.